As many of you know, I have been offline for much of the past month. I have been incredibly busy both in the gym and finishing off a new book. Fortunately, I am back in action so will resume with my regular blogging schedule. To begin, I would like to share the following link. What you will find within are many of the old titles that were previously available on the Sandow Plus website. If you are familiar with my site, there is a good chance that you are familiar with Sandow Plus. I have referenced the site many times as I am a big believer in learning from the strength legends who came before us. Sadly, the original Sandow Plus site closed earlier this year after one of the webmasters passed away. Fortunately, David Gentle has been kind enough to upload much of the material to his site. If you were a fan of Sandow Plus, I highly recommend taking a look at his site. Many of the old titles have been added and it appears that there are plans to continue updating the site with more free material. You can also use the following link (at least for now) to view the original Sandow Plus site. As I have said many times before, strength is not new. It is always useful to learn from the legendary strength athletes who thrived in previous generations. These athletes performed incredible feats long before the existence of supplements and performance enhancing drugs. 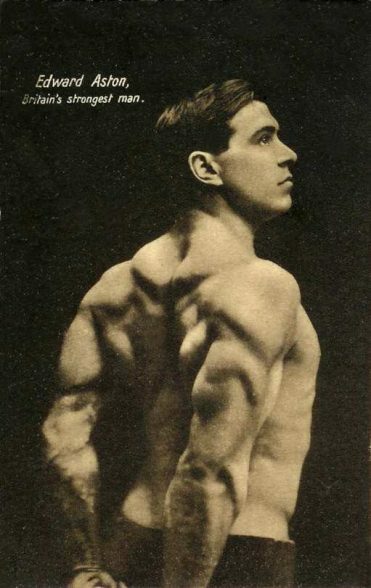 Unlike many of the con artists who exist today, the old time strength athletes walked the walk and performed feats that would be admired in any era. If you want to learn about real strength, it is always useful to learn from people who actually possessed it. Wow, this is some really interesting stuff. Thanks, Ross! Ross, this is so good man. Enjoy reading and learning from this old things. The suspense is killing. What is the new book all about? Great post as usual! Yes I’m a Rosstraining junkie. So what’s up with the new book? Some of those old weight lifting books in that link are a bit saucy aren’t they? I bought Ross’s new book and I am happy to say there are no fig leave poses, or naked buttock shots, just loads of knowledge from the maestro. Pingback: Couldn't find the Sandowplus website?